Nothing is more of a buzz-kill than theft when you’re traveling, right? But luckily there are plenty of things we can do to lessen the chances of it happening. Clothing with hidden pockets is one option, and in my books is a must when you travel. You may not be able to leave things like your passports or credit cards behind when you go out. So you’ll want somewhere pretty secure to keep them on you and safe from dirty hands. I’ve taken a look at the options out there for the best travel jackets with hidden pockets, and to keep things interesting, the best travel pants with hidden pockets too. This article will review some great options to choose from, and then describe a little about what to look for when it comes to decision time. How do We Choose the Best Travel Jackets with Hidden Pockets? The SCOTTeVEST Hoodie is a popular men’s travel jacket with hidden pockets, and for good reason. You’d have no idea looking at this hoodie that it contains an incredible 19 well designed gadget pockets. It is smart, anti-wrinkle and blends seamlessly into the urban environment. This hoodie is designed to be used in place of carry-on luggage so that you can keep all of your valuables and personal items on you, including a drink bottle! Includes knit cuff-gloves with hidden thumb holes for extra comfort. Includes 19 hidden pockets for personal items and 2 hand warmer pockets. Extra features include an extendable key chain, ear bud holders, a flap in the hood that opens down to act as an eye mask, and a microfiber cloth in the sunglasses pocket. The outer material may begin to pill after a couple of washes. If you’re looking for a men’s travel jacket with hidden pockets, you can’t really go wrong with this hoodie. 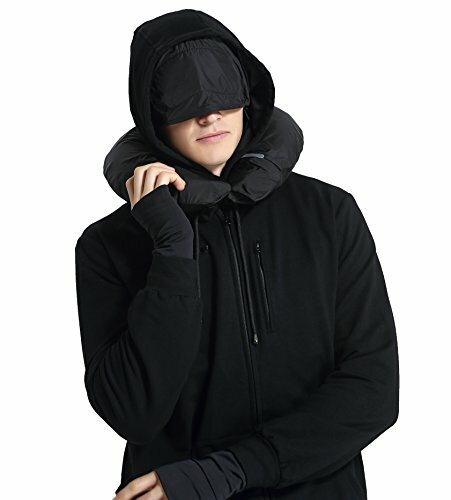 This is another very popular travel hoodie with 10 handy pockets and plenty of features to ensure that your carry-on luggage dreams are fulfilled. 10 pockets include a clear touch screen pocket for your phone, a tablet pocket, sunglasses pocket, passport pocket and long wallet pocket. Other features include a detachable, inflatable pillow, an eye mask and a face mask which button in place, ear bud holders and built in gloves. 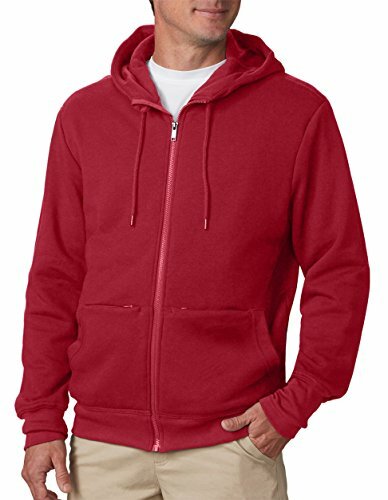 The fleece inner is soft and warm and the outer is water resistant. Potentially some stitching durability issues. The main draw card of this jacket is the highly functional pockets. They’re not just pockets for pockets sake. They work and they’re useful. This heavy duty winter hoody is warm, water resistant and wind proof. It has 13 well placed pockets with good quality metal zippers and a clear screen for using your smartphone while it’s tucked safely away. The phone pocket has a clear touch screen so that you can use your phone without removing it from its pocket which could be useful in the rain. 13 pockets provide plenty of options for storing your stuff. This is a very warm hoody so even though it’s not a jacket, it’s likely all you’d need. 1kg is a pretty heavy hoody even before adding all your stuff. Though not as popular as the SCOTTeVEST travel jacket above, this is still a decent jacket that may work for you if you like a snugger fitting jacket. As a sleeveless alternative to the hoodies above, this vest style travel jacket is lightweight and comfortable to wear while coming equipped with 8 hidden pockets. The Teflon shield lets water bead off the vest for top class water repellence. The RFID pocket protects your personal details from electronic theft. Lightweight design is ideal for warmer climates and inside airports. Some of the zips on the interior pockets may be a little sticky and annoying to use. The smartphone pocket is too small for some smartphones (eg. iPhone 6). The main advantages to this vest over others are its sleek, light weight design for easy transport of your belongings without being weighed down by a bulky jacket. 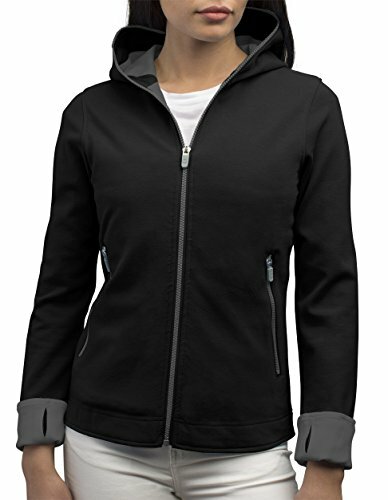 This is a very good quality and well-designed women’s travel jacket with hidden pockets. It’s not the warmest jacket out there, but its lightweight and non-bulky design has been prioritized here which is handy for moving around airports when you want to wear the jacket but not overheat in it. This is a lightweight, non-bulky jacket that is comfortable to wear even when the pockets are filled. It has an incredible 23 pockets, some of which are well thought out and very useful. You will have no trouble finding a pocket for everything. There is an inner RFID pocket for credit cards. Made of a cotton-Teflon blend for stain and water resistance. The sleeves zip off so in warm weather the jacket can be converted to a vest. Sizing runs small so definitely size up. This is a versatile women’s travel jacket with hidden pockets galore and a comfortable lightweight design. This cozy and comfortable but form fitting hoody is an ideal travel jacket for women looking to carry their valuables on them as opposed to in a purse. With 18 internal pockets, you’ll have no problems finding a place for everything. There are more than enough pockets to work out a carrying system for your personal items that works for you. The hoody is a versatile design that wouldn’t look out of place anywhere, being smart and athletic at the same time. Cuff-gloves provide a little extra comfort for your hands. As it is a snug fitting hoodie, it’s not really suitable for carrying bulky items in the pockets. Runs small so size up! 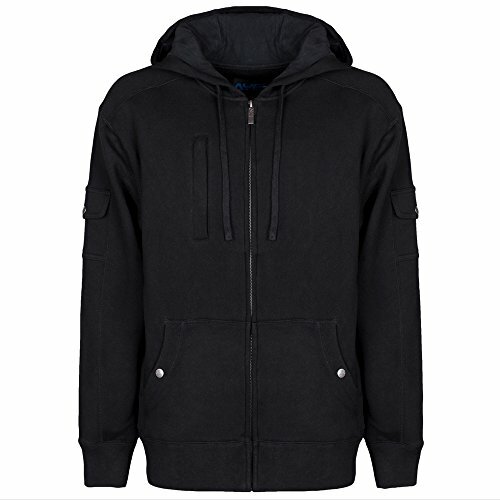 If you’re looking for sleek, form fitting hoody with some hidden internal valuables for small items such as passport, credit cards and phones, this is a great choice. 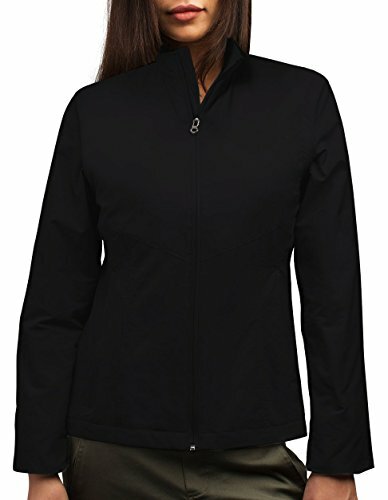 This a great women’s jacket if you’re looking for something affordable with lots of pockets. Some of the features are more gimmicks than useful functions and the quality won’t be as good as a more expensive jacket, but if hidden pockets are your priority, then this is an option that won’t break the bank. The jacket is shower proof, made of water repellent polyester. There are at least 6 hidden pockets on the inside of the jacket for storage of valuables. Comes with ear-bud holders and an eye mask. The sleeves have cuff-gloves, which are effectively an extension of the jacket inner which reaches over the wrists with a thumb hole, but could definitely add some warmth on chilly days. 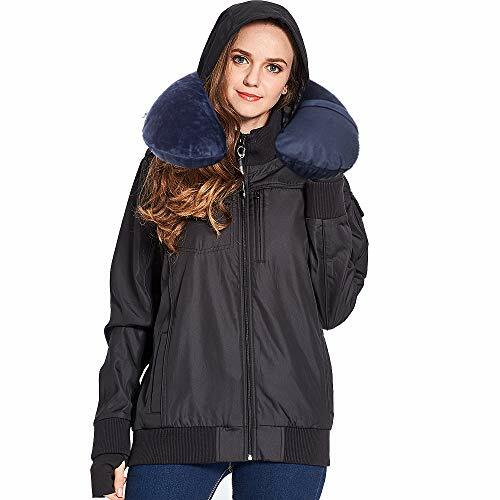 The pockets aren’t fleece-lined as the description says, and the pillow isn’t built in, it’s just a separate inflatable pillow that comes with the jacket. If you’re looking for a reasonable quality jacket with a good number of pockets that is affordable, this is a good option. Hidden pockets aren’t such a thing with pants as they are for jackets, but pants like these Silver Ridge from Columbia nail the practicality aspect of having an extra zip pocket in your pants. They are versatile and comfortable. 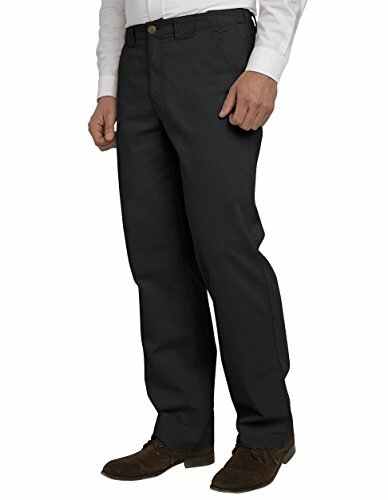 These pants have 6 pockets, 2 rear pockets with Velcro flaps, side leg pockets with Velcro on one side and a secure zip pocket on the other, and front pockets. The bottoms of the pants zip off to be converted into shorts in hot weather. The pants are made of UPF 50 Omni-shade with moisture wicking properties to keep you cool and protected in the sun. You may prefer more than 1 zip pocket. These lightweight, quick drying, but durable travel pants are a great option for travel through warm and temperate countries. These UPF 50+ Eco friendly travel pants are lightweight, water resistant and comfortable with no-wrinkle fabric so you can look smart as soon as you step off the plane, wherever you are in the world. 2 rear zip pockets, 1 secure zipped side drop pocket and 2 front pockets. The fabric is a little stretchy for added comfort. Take care with the fit and if possible, try before you buy. Perfect for keeping you cool in hot weather and carrying a few small valuables securely in the zip pockets. SCOTTeVEST have done it again producing some of the best travel pants with hidden pockets. 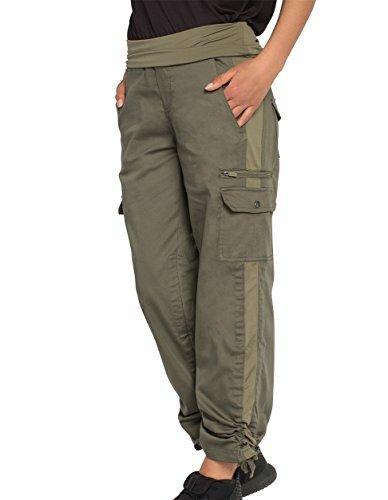 These cargo pants are made of 100% cotton with a Teflon coating for water and stain resistance. 6 ‘gadget friendly’ pockets allow you to comfortably carry your valuables securely. The two front pockets have 2 compartments and are very deep, while the 2 back pockets close with magnets. Wrinkle-resistant and quick dry material is convenient for travel. Expandable waist band allows for added comfort, especially when sitting for long periods when flying. The pockets lack any secure closures like zips or Velcro. These men’s travel pants with hidden pockets are lightweight, durable and comfortable for travel. Designed for backcountry adventuring, these are serious pants that would suit someone looking to travel in harsh environments and cold climates. 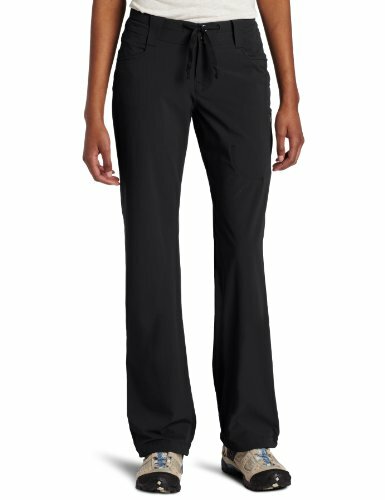 These soft shell pants are extremely durable while being wind resistant, water resistant and breathable. 4 zippered pockets ensure plenty of secure places to store important items. The stretchy soft shell material is very comfortable. Extra versatile, they are designed to be compatible with outdoor equipment such as mountaineering harnesses and ski boots. As seems to be common with pants, finding the right size can be difficult so please try before you buy to avoid disappointment. These are the pants you’ll want if you’re planning on spending a month in Iceland or want to hike to Everest Basecamp. The Margaux Cargaux are cargo pants with style. These women’s travel pants with hidden pockets have an adjustable waist band and draw strings at the cuffs that lend them a slightly harem pant vibe. With 11 gadget friendly pockets, you won’t be short on storage space. Wrinkle-resistant and lightweight, these pants will look good and be comfortable to travel in no matter how long you’ve been on the road. Plenty of pockets, you definitely won’t be short on storage space, and the zippered side pockets are secure. Sizing is tricky, refer to the sizing chart and read through people’s reviews when choosing which size to order. If pants with plenty of pockets are your priority, SCOTTeVESTS cargo pants will fit the bill. 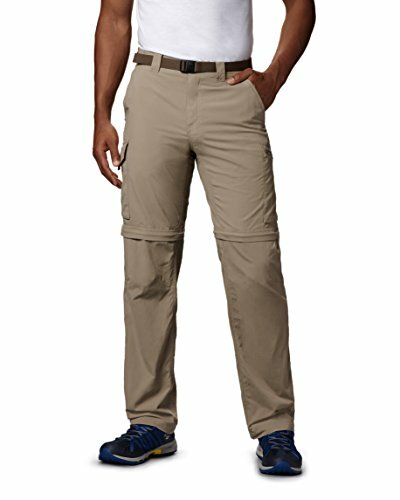 Water repellent, windproof, breathable, and very comfortable, these soft shelled pants are made to be worn. Suitable for hiking, climbing and traveling, they are durable but also tidy enough to not be out of place in an urban environment. 5 good sized pockets, 2 rear zipped, 2 front and one secure zippered thigh pocket. Quick drying and lightweight, these pants are convenient for travel. 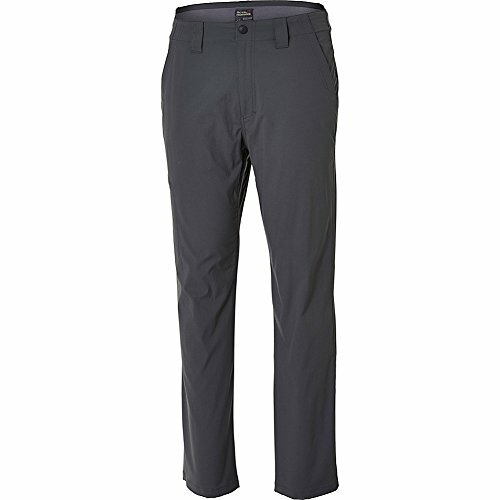 Very durable, these pants will handle sliding over rocks and not pill or wear out. No way to shorten them into capris or shorts. If you want a pair of pants that you can travel with almost indefinitely and not need to own another, then these are the pair to go for. The zip pockets are secure so you’ll feel good about carrying your valuables in them. We’ve agreed that jackets with hidden pockets make a lot of sense for travel in terms of keeping your valuables safe and secure. But security isn’t the only bonus to these jackets. Being able to carry so many items could make it a whole lot easier to travel with just hand luggage, increasing the amount of items you can carry on board with you and saving you baggage fees. Aside from choosing something that fits you and that you feel comfortable in (after all, you’re going to be the one wearing it! ), there are a few things to look out for when choosing the best travel jackets with hidden pockets. That the pockets are suitably sized and organized for your needs. Do you need a pocket big enough for a tablet or a drink bottle? Are you right or left handed? Do you prefer zips, buttons, Velcro or snap closures? That the jacket itself is going to suit your temperature requirements, after all, you’re not literally just wearing it for the pockets. Do you need something lightweight or warmer and heavier duty? Do you need it to be waterproof? How many extra features you want. Are you looking for sleek functionality or do you get a kick out of extra things like eye masks and travel pillows? A common theme with the travel jackets available online seems to be the need to size up. I would personally recommend doing this anyway as it seems logical that if you want to fill the pockets with your belongings, you’re going to need a little room for expansion! Pants leave less options available for hiding pockets. It’s more common that you’ll see a subtle zip on the thigh with no obvious pocket outline, or an extra zip pocket inside a normal pocket. And that they provide some protection from the elements. There’s aren’t many options for microfiber travel pants with hidden pockets, unless you’re looking for something dressy that you can wear out to dinner in the evening. In which case, these pants (link to Amazon.com) from Orvis could work for you. There are also other options available aside from just clothing with hidden pockets. For example money belts, which are essentially a flat-fitting bum bag (a.k.a. fanny pack), come and go in their popularity and can be a good way of transporting valuables underneath your clothing where they’re not visible. Anti-theft backpacks are another option that aside from just hidden pockets, also come with a host of anti-theft technologies. These may include locking zippers, RFID technology and anti-slash material. If you’re interested in finding out more about anti-theft backpacks, take a look at our article on that very subject and I’m sure you’ll find something you’ll love as much as we do. I really hope you’ve found this article useful and are considering getting some clothing with hidden pockets. If you haven’t already, definitely download our ebook for some more tips on solo travel safety!